Virginia’s second largest lake with 500 miles of shoreline, Smith Mountain Lake is home to a thriving tourism industry as well as thousands of retirees and second-home weekenders looking for an idyllic natural setting not too far from urban conveniences. Smith Mountain Lake is formed by an American Electric Power dam where the Roanoke River cuts through a gap in Smith Mountain, creating an impoundment that covers some 20,600 acres and extends 40 miles upstream. The lake straddles three counties: Bedford and Franklin, which are in the BRLC service area, and Pittsylvania, which is not. Smith Mountain Lake is unique because it is a man-made lake, unlike Virginia’s two natural lakes, Mountain Lake in Giles County and Lake Drummond in the Dismal Swamp in Chesapeake and Suffolk. Most of the residential development along the lake is centered on lake access and water-based recreational activities, surrounded by retail and commercial land uses and changing quickly into traditional rural uses as you travel farther from lake communities like Moneta or Westlake. In addition, many of the residents and homeowners at “The Lake” are not southwest Virginia natives, so they bring fresh and unique perspectives to local issues. More than half of the Blue Ridge Land Conservancy’s 44 conservation agreements protect lands that drain into Smith Mountain Lake via its numerous tributaries. These agreements protect more than 14,000 acres of land and nearly 12 miles of rivers and streams. 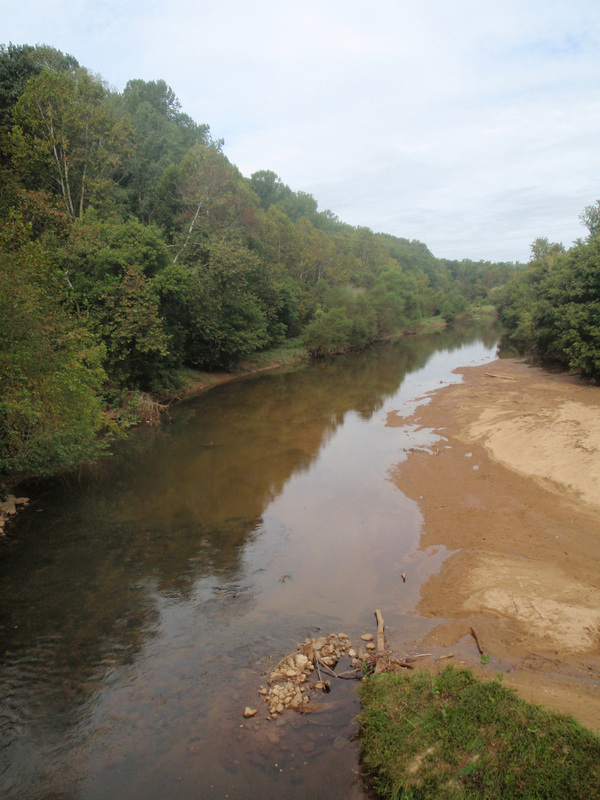 The Blackwater River, just upstream of Smith Mountain Lake, one of several lake tributaries protected by the Blue Ridge Land Conservancy.